Tacony Corporation offers a diverse line of products and services. We specialize in distribution and marketing of products in sewing, home floor care, commercial floor care, and ceiling fans. We, the family of Tacony Associates, are passionate about creating innovative products and delivering unsurpassed service that fulfill our customer's aspirations in sewing, cleaning and home care. We accept nothing less than the highest quality products, top performance and excellent service. Our dedication to our customers does not stop at the sale. We are committed to exceed the expectations and needs of our customers. 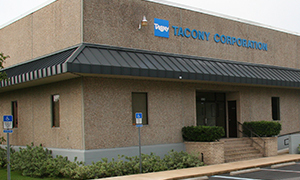 Tacony Corporation has demonstrated unwavering stability and consistent growth since its founding in 1946. This long-term success can be attributed to a strong ethical stance, diversification and smart business practices. What began in Nick Tacony's basement has grown internationally. At Tacony Corporation, we're continuously exploring new avenues through which to expand our market reach, grow the bottom line and serve more customers, better. Our consumers remain the heart and soul of everything we do. That's why we strive to provide superior communication and support to every customer before, during and after the sale‐whether by phone, web, email or social media. The cornerstone of our business is providing superior products and services to our retailers and consumers in ways that make it easy to do business with us. At the same time, we move forward with smart, conservative choices that ensure long-term fiscal health. Tacony has diversified into four core divisions: sewing, home floor care, commercial floor care, and ceiling fans and lighting. Each division targets a distinct customer base, but all play to the unique strengths of our business model. Tacony Corporation demonstrates strong leadership not only in entrepreneurship, but in philanthropy. Over the years, we've supported a number of charitable efforts that have changed countless lives and improved the communities in which we do business. In 1946, Nick Tacony invested his entire savings in used machines, motors and parts and began a business selling and servicing sewing machines from the basement of his home. Nick Tacony soon became a leader among sewing machine entrepreneurs. By wholesaling sewing machines, accessories and other merchandise to retailers, he established a nationwide network of Tacony distribution centers. Ken Tacony joined his father in the business in 1970, and with a solid foundation in place, Tacony Corporation began to market and sell diversified products inside and outside the sewing industry. Tacony has become the preferred source for independent retailers by offering access to a wider range of products, parts and services that enable business owners to operate more efficiently and profitably in their markets. Tacony Corporation was a recognized wholesaler. Nick Tacony knew that building strong relationships with independent retailers was the key to success. Nick Tacony started Tacony Corporation on a dream. He invested his life savings into sewing machines and parts and sold them out of his basement. By the 1950s, he was a recognized wholesaler in the United States. By working closely with a premier serger manufacture, Tacony introduced the first home serger to the United States. This was the beginning of Baby Lock. Throughout the 60s and 70s, Tacony worked to secure its spot as leader in the sewing industry. Tacony expanded its product lineup to ceiling fans and vacuum cleaners. In the late 80s, Tacony acquired Regency ceiling fans and Riccar and Simplicity vacuum cleaners. Why vacuums and ceiling fans? At the time, these items, along with sewing products, were often found in the same store. Even today, many vacuum retailers also sell sewing machines. In 1989, Tacony also started Tacony Sewing Central. This division supplies household and industrial sewing machine parts, notions and accessories. It’s an easy one-stop shop for sewing retailers to restock their stores. Tacony acquired two more floor care brands in the 1990s. Vac Pros (formerly Blakeman's) serves vacuum retailers by providing quality parts, products and expertise for many vacuum brands. 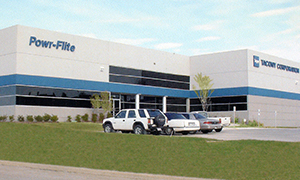 Also in the 90s, Tacony took its first step into the commercial floor care market with the Powr-Flite brand. Tacony growth continued in the early 2000s when a number of new brands joined the Tacony family. Nancy’s Notions and Sewing Central Supply helped expand Tacony’s reach to more sewing customers and introduced new products to the Tacony sewing line such as Koala Studios furniture. Tacony’s commercial floor care division expanded in the 2000s, too. TruVox, Tornado, and CleanMax all joined the Tacony family during that time. In 2012, Tacony opened the Tacony Achievement Center. Tacony knows that product knowledge is essential to success. This building is a state-of-the-art facility dedicated to retailer training. Tacony retailers can attend a variety of classes at the Tacony Achievement Center to become experts on the products they sell. It gives Tacony additional recognition with a familiar and reputable consumer brand. In January 2016, Ken Tacony stepped aside as Chief Executive Officer after 45 years in the family business—nearly 30 of them as CEO—into a consulting role as Executive Chairman. This move made way for his daughter, Kristi Tacony Humes, to lead the company into its seventh decade. Kristi has held positions in virtually every business unit and department, learning and growing with the business over 22 years. She's built valuable experience in strategic planning, marketing and management that has helped strengthen the company's position in the marketplace. As CEO, she continues the longstanding commitment to excellence in business and corporate culture. Brad has brought to Tacony over 20 years of diverse financial experience in public and private accounting. Formerly Director of Financial Planning and Analysis, Brad’s leadership is instrumental in helping streamline processes in support of strategic goals. With a cost accounting and an economics background and a Masters in Business Administration, Tacony COO Brian Kearins was a perfect fit for his role. Tacony’s strong family values drew Brian to the company, and his work ethic, goal-oriented focus and vision for success are great assets to Tacony’s culture. Brian leads operations in manufacturing, distribution, engineering/R&D, product development and supply chain/procurement. As a member of the executive leadership team, he works closely with each member of that group to support Tacony’s operational effectiveness, profitable growth strategy and organizational structure. He’ll also spearhead product innovation to take Tacony Corporation to the next level. In addition to Enterprise Resource Planning (ERP) and leadership, Christine’s diverse strategic and results-oriented experience includes a wide range of technological knowhow. She comes to Tacony from an 18 year stint at Duke Manufacturing where she was responsible for the end to end technology for global operations. As part of the Tacony Executive Team, Christine will take the technology platform to the next level and provide employees and customers with the best possible experience. When Craig joined Tacony in 2002, he brought with him more than 30 years of business development, marketing and senior management experience at Fortune 500 companies such as Ralston Purina and Energizer. He has served as Director of Marketing and Vice President of Marketing in the sewing division at Tacony and now serves as Senior Vice President of Marketing. Andy’s years at Tacony are backed by 25 years’ worth of leadership experience in business, industry, technology and as an independent business owner. His professional qualifications provide him with a unique level of empathy with both our retailers and consumers. As Senior Vice President of Sales, Andy manages the Retail and Mass Channels for Tacony Corporation. Joining Tacony with a career that began over 20 years ago at Hewitt Associates Consulting in Chicago, Nicki has worked in large and small, public- and privately-held companies with a global presence. She has extensive experience in design, delivery and implementation of world-class HR programs. Nicki works to attract, build, retain and optimize top talent and transform Tacony’s organizational effectiveness. With 18 years in the digital/e-commerce space, Pam comes to Tacony after five years with Nestlé Purina in various innovation and E-commerce positions, most recently as a Director on the Zone Americas strategy team. Pam has an Executive MBA from Washington University and web design certification through the University of Missouri St. Louis. Her recent technological interests have been in design-led thinking and blockchain technology. She's also involved in the Spirit of St. Louis fund and serves as an instructor in the Praxis Program at Washington University. 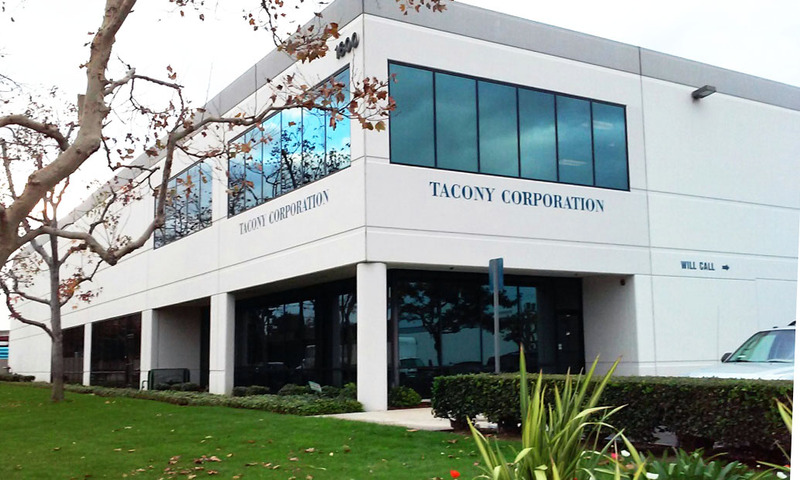 Tacony Corporation has grown to become a truly diversified global products company with 10 offices, more than 500 associates, and showrooms around the world, establishing a reputation of operational excellence and convenience. 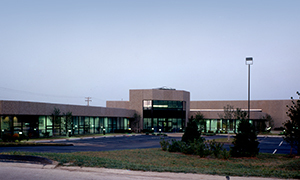 The corporate headquarters, housing financial operations, administrative departments, sales and marketing divisions, as well as Midwest distribution for Tacony Corporation. A satellite Regency sales office in addition to the Southeast distribution center for Tacony products. A sales and support office for vacuum cleaner products as well as West Coast distribution for most Tacony products. The offices, manufacturing and distribution for commercial floor care brands. 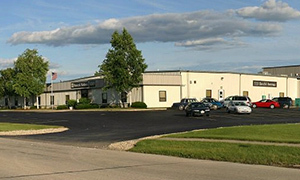 The headquarters and fulfillment center for Nancy’s Notions multi-channel, direct-to-consumer business and retail store. 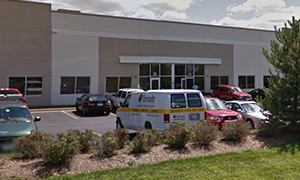 The production, injection molding and manufacturing arm of the home and commercial floor care vacuum lines, plus additional Midwest distribution warehouse. 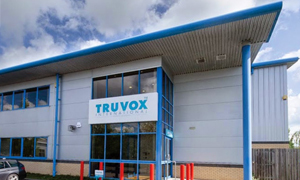 The Truvox International headquarters is adjacent to England’s largest container port, making it the ideal location to design, produce and supply products to over 60 countries worldwide, including the U.S. 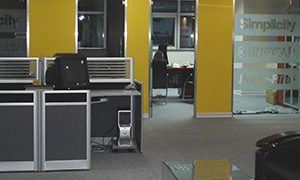 The offices, manufacturing and distribution for Koala cabinets. 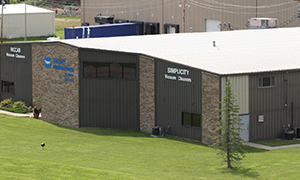 A molding facility specializing in plastic injection molding and thermoset compression and injection molding. 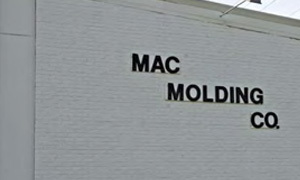 Mac Molding services many clients in the appliance industry. 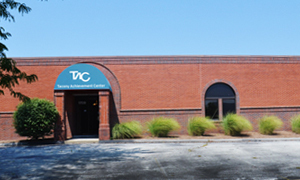 The Tacony Achievement Center, serving as a training and event venue for Tacony Corporation and the industries it serves. A Tacony office specializing in engineering and product development as well as sourcing quality products and components for Tacony’s domestic and commercial floor care and sewing divisions. The Tacony family believes that if a company focuses on benefiting its employees, the employees will take care of the customers, who in turn will bring financial success to its shareholders. Tacony Corporation strongly believes in building business relationships that feel like family, with both employees and the independent retailers who sell Tacony products. Today, Tacony Corporation employs more than 500 dedicated people worldwide. Every employee brings unique experience and an innovative spirit that contribute to Tacony’s success. Even as the company continues to expand, the sense of family is maintained. As the years go on, every accomplishment is celebrated as a team and family. With the company’s growth, Tacony has added numerous corporate departments that make it better able to adapt to the needs of its customers. Joining the company means joining the family.